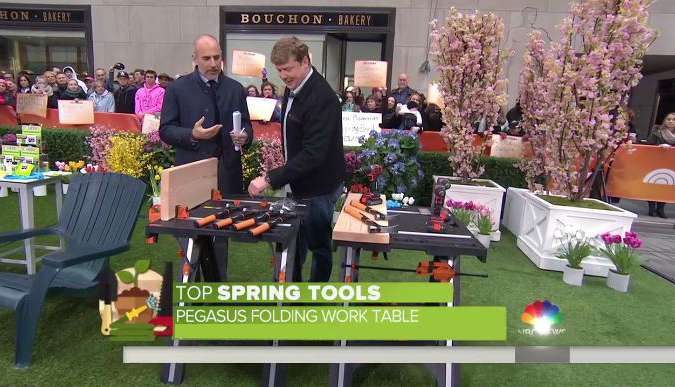 Kevin O’Connor of This Old House joined Matt Lauer to show off some of his favorites from the 2016 This Old House “Top 100” List for Spring. Check it out here. Also shown was the WORX TRIVAC Blower/Mulcher/Vac! If you like the WORX Pegasus then you’ll love the newest addition to the WORX product family, the WORX Sidekick Portable Work Table!